As well as offering the safety-net of on-site support, one of the guiding principles of most sheltered accommodation schemes is to ensure that residents enjoy independent living to the greatest extent possible. In older establishments, one of the biggest stumbling blocks – sometimes literally – is the design of the bathroom. Frequently residents find their standard baths are inaccessible and are forced to resort to communal shower facilities. 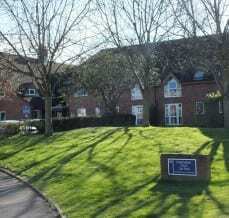 This was the case for many residents at Worcester Community Housing’s (WCH) Chelmsford Court sheltered scheme in Worcester. Chelmsford Court has 50 one-bedroom units spread over two floors and the majority of its residents, mainly in their 80s and 90s, have lived there for some time. All of the residents are very independent and look after their own needs, including preparing meals, but come together regularly for communal social events. As part of a programme to refurbish all of its properties, WCH has given all of the communal areas at Chelmsford Court a complete facelift and at the same time, residents were offered the opportunity to have complete bathroom refurbishments – an offer that 80% accepted. The contractor for the project was Mears, who proposed converting the traditional bathrooms into more accessible wet rooms, choosing independent living solutions provider AKW as the bathroom supplier. In recommending a wet room, the contractor recognised that this is the ideal way of offering a greater degree of independence to anyone with mobility problems. Conventional shower enclosures can pose difficulties in stepping in and out as the user may lose their balance or slip, however the wet floor solution provides a safer alternative. For Chelmsford Court, Mears used AKW’s Tuff Form® which is made from compressed Glass Reinforced Plastic (GRP) which is five times more durable than formers made from recycled materials. It will not warp or deform in normal bathroom temperatures and has been tested to 100°C. The choice of shower was also important. Standard electric showers can have their limitations for people with restricted mobility or in need of assistance when showering. The shower chosen for the Chelmsford Court refurbishment was AKW’s award-winning LUDA® electric care shower. With an IP45 rated waterproof shower unit that carries a comprehensive BEAB Care approval and RNIB accreditation for inclusive design, the LUDA can be located anywhere in the bathroom to meet accessibility requirements in complete safety. This offers a huge amount of flexibility in siting the shower unit which can be done to suit an individual resident’s requirements. With a non-return valve in the shower head, there is no need for the shower head to be retained so the user, or carer, has full use of the extra-long shower hose. A particular benefit of the LUDA® is its integral grab rail. Riser rails in standard electric showers are relatively flimsy, designed simply to keep the shower head in position, so additional grab rails are necessary. In designing the LUDA®, AKW decided that a neater, more aesthetically pleasing solution would be to combine the two functions in one and make the riser rail into a grab rail capable of supporting 90kg of weight. Any worries that new showers may be difficult to cope with were quickly allayed by another resident, Mrs Joyce Room, an 84-year old stroke sufferer. Despite initial concerns about a new shower, Joyce reports: “I feel much safer in my bathroom and I especially like the grab rail n the LUDA® shower as I cannot stand for too long. This has helped tremendously. The buttons are also really easy to use.” She adds: “My bathroom is very modern now. My friend said it was beautiful and she wants one like it now!